SWE-DISH Satellite Systems AB,a DataPath company, has received an order for up to 20 SWE-DISH Drive-Away 150systems for several Spanish broadcasters, primarily Television Espanola (TVE).The agreement was secured in close cooperation with SWE-DISH’s Spain-basedsales and service partner, Atlas Sistemas. TVE will base 16 of thevehicle-mounted 1.5-meter antenna systems throughout Spain, giving thebroadcaster greater mobility to produce high-quality live broadcasts of localnews and events. DataPath, Inc., a leading provider of satellite and wireless communications networks around the world, has been selected by the U.S. Marine Corps to provide an ultra-portable satellite communications (SATCOM) solution for the Support Wide Area Network (SWAN) program, enabling the Marines to extend the network and improve warfighter mobility while they establish and maintain broadband communications on the battlefield. – SWE-DISH IPT Mil Suitcases (AN/USC-68), quick-to-air terminals that are small enough to be carried as suitcases or backpacks. – Customized, portable baseband kits providing NIPRnet, SIPRnet and voice-over-IP services. – Technical support services that include training and field engineering from DataPath’s experienced support personnel. The multi-year contract award, with options, could total up to approximately $30 million, including an initial delivery order of $1 million. SWE-DISH Satellite Systems has developed a new class of groundbreaking small satellite terminals – the Suitcases. It’s a new class of small (suitcase size), hand portable, highly mobile and fully automated satellite terminals. They are used by numerous leading broadcasters, as well as several defense organizations such as the US Special Operations Command. DIY Friday: Create Your Own Stroboscope! The term "stroboscope" comes from Greek for "whirling watcher". The "whirling watcher" was simply a disk with slots at regular intervals. As an observer looked at moving subject through the slots in the spinning disk, he could see successive stages of the subject’s motion. When Edgerton began his electrical engineering studies at MIT in 1926, his research was focused on the stability of synchronous motors, observing the changes in angular displacement of the rotors as a result of disturbances to the system. As the story goes, Edgerton noticed that flashes from the mercury arc lamps he was using made the rotor visible without blur. This gave him the idea to build an electronic stroboscope which could be used to visually observe the changes in the motors angular displacement. Bre’s instructions on how to build your own stroboscope can save you some serious dough, as professional stroboscopes can get quite expensive. But when taking macro, still life shots, a stroboscope, whether hand-built or store-bought, is best used in conjunction with a macro studio. This is one of the most useful DIY gadgets you could make – especially when you consider the single-digit price tag. What can you use it for? That’s pretty much up to you, and will be limited only by the size of the box you use. Shots of small objects in the studio, on location, items you are selling on eBay, flowers (even still in-the-ground-and-growing ones,) Absolute Vodka bottles for $50,000 ad campaigns, catalog stuff – whatever. This little thingie does it all in spades – and with a lot of control, too. 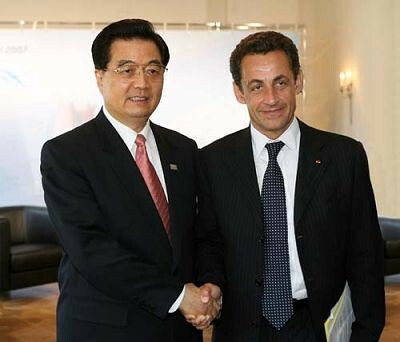 That was some trip to China by French president Nicolas Sarkozy — got a lot of good press, too. Better than that 60-minutes interview in October. Big nuclear power plant deal for Areva and some airplanes for Airbus to deliver — and Eutelsat CEO Giuliano Beretta made the trip, scoring an interview with China Daily. Nice profile on Areva CEO Anne Lauvergeon. 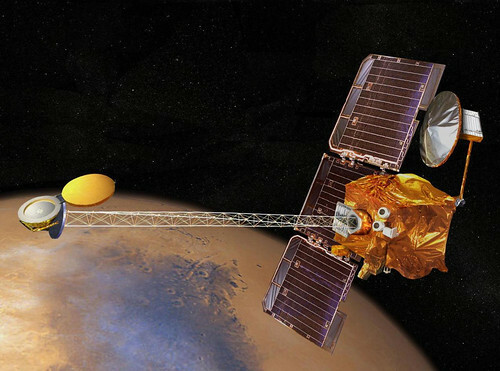 Incidently, Areva is now the parent company of Canberra Eurisys, developers of the titanium-encapsulated germanium detector on board NASA’s Mars Odyssey orbiter. French President Nicolas Sarkozy said yesterday that he did not fear technology transfers to China, speaking a day after Areva of France signed a landmark deal to deliver state-of-the-art nuclear reactors. “In the nuclear field, we’re going to create a joint venture. I’m not worried about technology transfer,” Sarkozy told students at Beijing’s elite Tsinghua University, referring to the Areva deal. 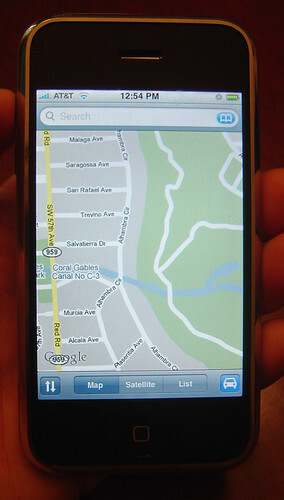 A new version of Google Maps introduced this week includes a beta feature dubbed My Location that was designed to simulate the GPS experience on mobile phones and handheld devices that do not include GPS hardware, like Apple’s iPhone. Essentially, the My Location feature takes information broadcast from mobile towers near non-GPS equipped mobile phones to approximate the device’s current location on the map down to about 10 city blocks. "It’s not GPS, but it comes pretty close (approximately 1000m close, on average)," the Mountain View, Calif.-based search giant explained on its website. "We’re still in beta, but we’re excited to launch this feature and are constantly working to improve our coverage and accuracy." The My Location feature is currently available for most web-enabled mobile phones, including Java, BlackBerry, Windows Mobile, and Nokia/Symbian devices. 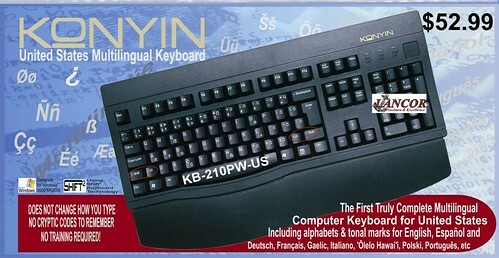 However, it is not yet compatible with Apple’s iPhone. Still, Apple has promised to continuously update and improve upon the feature set of its inaugural mobile handset, making it more than likely that the feature will turn up once it emerges from the beta stage. For a more detailed explanation of My Location and a visual demonstration, please see the video below. Just downloaded it on a BlackBerry and it works. Amazing. Hughes Network Systems, LLC (HUGHES) today announced that it is providing ESSROC, a leading North American cement producer, with HughesNet Access Continuity, a diverse path backup solution that ensures communications continuity. By the end of the year, Hughes will have equipped all thirty-three North American ESSROC offices with the backup satellite broadband service. ESSROC’s entire business relies on broadband connectivity to efficiently manufacture, package, and distribute cement throughout North America, connecting manufacturing plants, corporate offices, shipping terminals, and almost 1000 employees. ESSROC turned to Hughes to provide a back-up satellite broadband solution after realizing that the redundant landline network purchased from its primary network provider also went down if the provider’s central office had problems. "When you back up a landline network with another landline network, it is vulnerable to the same problems as the primary network," said Ted Fritchlee, senior network engineer, ESSROC. "We previously used an ISDN to backup our MPLS wide area network, but after the local phone company had an outage at its central office, we approached Hughes and went non-terrestrial." ESSROC runs all accounting, processing, email, bulk loading, time and attendance, safety, and compliance data over its network. HughesNet Access Continuity uses satellite broadband technology to create a truly diverse path to the primary landline network, ensuring that all ESSROC’s mission-critical applications stay up and running on the network if the primary MPLS network fails. "Without an access continuity solution, we have to turn to manual processes to keep our business moving," explains Fritchlee. "We can get by, but we’re not as effective or efficient. In short, without HughesNet, a landline network outage can seriously disrupt our business." Essroc’s TX Active technology will impact concrete construction in several ways. Through photocatalysis, TX Arca reduces the maintenance requirements for concrete structures or buildings by destoying most organic and inorganic pollutants that come into contact with the concrete surface and cause discoloration. In addition to this self-cleaning benefit, TX Aria effectively destroys airborne pollutants, which are responsible for urban organic pollution. Cabela’s selected HughesNet Access Continuity Service to ensure that they could continue to serve in-store customers, fulfill online and catalog orders, and transport goods within the organization without having to rely solely on terrestrial providers for connectivity. Without the communications diversity provided by HughesNet, Cabela’s critical business applications, such as point-of-sale and inventory management, could be rendered unavailable in the event of a terrestrial network outage. Just in time for hunting season (or to buy a GPS device as a holiday gift). 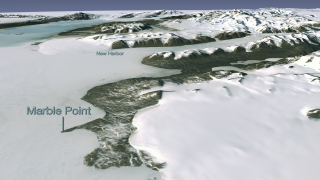 The Landsat Image Mosaic of Antarctica (LIMA) brings "the coldest continent on Earth alive in greater detail than ever before through [a] virtually cloudless, seamless, and high resolution satellite view of Antarctica." According to NASA, by piecing together more than a thousand images from three years of Landsat satellite observations, the new map provides a realistic look at the continent in 10 times greater detail than ever before and offers the most geographically accurate, true-color, and high-resolution views of the continent possible." NASA is so excited that they argue the map will "revolutionize research of the continent’s frozen landscape." You can view the interactive image here. The opening view includes McMurdo Station, the largest research base in Antarctica. Located at the tip of Hut Point Peninsula on Ross Island, McMurdo has been continually operated by the United States of America since 1956. Ross Island is roughly 45 miles across. The flat, white areas are the Ross Ice Shelf and other sea ice off the coast of Antarctica. Also visible are the Erebus Glacier Tongue, Koettlitz and Ferrar Glaciers, and the Royal Society Range. If your browser is giving you troubles, download the poster to view an overview map and detailed, up-close panels. Or, better yet, watch the pretty amazing HD fly-over videos that are available here. BOSTON, MA–(Marketwire – November 27, 2007) – Lagos Analysis Corporation, a United States-based Nigerian-owned company with a subsidiary called LANCOR Management Limited, in Nigeria (LANCOR) announces today that it has filed a patent infringement lawsuit in the Federal High Court, Lagos Judicial Division holding at Ikoyi, Lagos, Nigeria against Nicholas Negroponte, One Laptop Per Child Association (OLPC) and its enablers in Nigeria. The patent infringement lawsuit was filed on November 22nd, 2007 as a result of OLPC’s willful infringement of LANCOR’s Nigeria Registered Design Patent # RD8489 and illegal reverse engineering of its keyboard driver source codes for use in the XO Laptops. LANCOR is seeking substantial damages as well as a permanent injunction to prevent OLPC from continuing to unlawfully manufacture, sell, distribute or offer for sale the XO Laptop, and any other products infringing on the RD8489 and using the illegally acquired keyboard driver source codes. LANCOR has retained the law firm of Adedeji & Owotomo a Lagos, Nigeria-based law firm that specializes in intellectual property litigation. Both LANCOR and its legal counsel are extremely confident that LANCOR’s case will be successful. LANCOR’s lawsuit alleges that OLPC purchased two KONYIN Multilingual Keyboard models (KONYIN Nigeria Multilingual Keyboard and KONYIN United States Multilingual Keyboard) with the express purpose of illegally reverse engineering the source codes for use in OLPC’s XO Laptops. "The willful infringement of our client’s intellectual property is so blatant and self-evident in the OLPC’s XO Laptops," said Solicitor Ade Adedeji, "we will have no problem establishing the facts of our client’s case against OLPC in any court of law." "LANCOR treats its intellectual property as one of the Company’s most important resources," said Adé G. Oyegbola, chief executive officer of LANCOR. "This patent infringement lawsuit is another step in LANCOR’s continued protection of its intellectual property. LANCOR will continue to take aggressive steps to protect its intellectual property around the world. LANCOR is also in the process of filing a similar lawsuit against OLPC in a United States Federal Court," Oyegbola, added. Over 1,000,000 Ford, Lincoln and Mercury brand vehicles have already been shipped with factory-installed SIRIUS radios. Lincoln began offering SIRIUS as standard equipment in 2008 Model Year vehicles. Recently, Ford launched SIRIUS on its new Focus. The addition of the Focus brings to 23 the number of Ford, Lincoln, and Mercury vehicle lines offering SIRIUS as factory-installed equipment. SIRIUS equipped vehicles will be packaged with a six-month prepaid subscription. Land Rover offers SIRIUS as standard equipment on the Range Rover and the Range Rover Sport. Volvo, Jaguar and Mazda offer SIRIUS as a factory or port installed option on various vehicles. SIRIUS also announced it has signed an agreement with Ford Motor Company that extends its relationship. All Ford brands, including Ford, Lincoln, Mercury, Land Rover, Jaguar, Volvo, and Mazda, are covered by the agreement. The growth of satellite radio isn’t the only change to come to car interiors in the last few years. From GPS to bluetooth, our technical gadgets are becoming increasingly integrated with our automobiles. Ford SYNC, developed on the Microsoft Auto software platform, provides consumers the convenience and flexibility to bring digital media players – Apple iPods, Microsoft Zunes and other MP3 players – and Bluetooth-enabled mobile phones into their vehicles and operate the devices via voice commands or with the steering wheel’s redundant radio controls. SYNC is making in-car connectivity more affordable and more widely available than ever before. It will be available on 12 Ford, Lincoln and Mercury products this year and on nearly all Ford, Lincoln and Mercury products by the end of 2008. FordSYNC is a response to Chrysler’s Siruius-integrated MyGIG system, which we blogged about in June. Though neither system, in our eyes, has quite matched the interface of Volkswagen’s system, which we blogged about just last week. Still, if you like building cars online as a way of passing the time when you should be working, the SyncMyRide site lets you play with more than just rims and interior and exterior colors. But the partnering of Microsoft with Ford probably negates the need for a DIY Friday post on how to build a Zune Buggy (see the image at the bottom of this post). CNET and Autoweek have also reviewed the system. Can’t afford a whole new car just to get Sirius in your ride? Sirius Satellite Radio was in full swing for Cyber Monday, with special offers expiring tomorrow. The FCC’s International Bureau has proposed modifying 21 space station authorizations held by Intelsat North America LLC so as to include conditions requiring it to fulfill public service obligations that were established as part of the privatization of Intelsat under the International Telecommunications Satellite Organization (ITSO) Agreement. Specifically, the modifications would state that Intelsat shall remain a signatory to the Public Services Agreement with ITO and that no entity shall be considered a successor-in-interest to Intelsat under the ITSO Agreement unless it has undertaken to perform the PSA obligations. Those obligations include providing connectivity and capacity to a group of “lifeline” customers for a predetermined number of years with price constraints. The ITSO had expressed concern in 2005 when the FCC was considering the proposed transfer of control of certain PanAmSat authorizations to Intelsat that the resulting increase in Intelsat’s debt level could lead to a bankruptcy filing and the voiding of the public service agreement Intelsat had signed with ITSO. 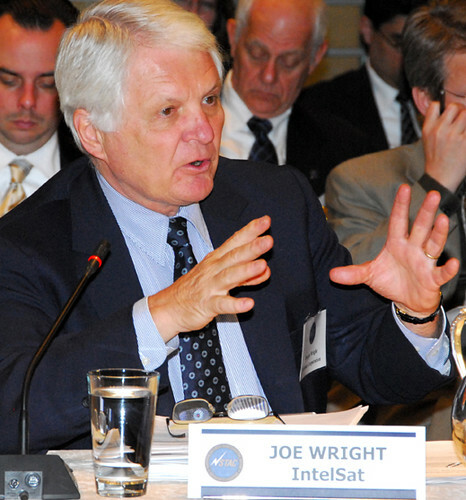 The FCC declined to place the conditions ITSO sought on its approval the Intelsat- PanAmSat transaction, but the State Department in consultation with the National Telecommuncations and Information Administration subsequently requested the conditions on Intelsat North America’s space station authorizations that the bureau is proposing in the current order. Intelsat North America has 30 days from the Nov. 23 release date of the order to show why its licenses should not be modified as the bureau has proposed. "It showcases eloquently that the Chinese people have the will, the ambition and the capability to compose more shining new chapters while ascending the science and technology summit." Citing a letter from an overseas Chinese, Wen said that the farther the China-made satellite flew, the higher would the overseas Chinese hold their heads. "The success shows it’s completely possible for China to make breakthroughs in priority projects and win decisive battles in the competition of new high technologies." Whew. He didn’t mention, however, that the Japanese had just returned their own lunar images — but in high-definition. We discussed those last month. The head of China’s space agency has confirmed that his country has no plans to put a man on the Moon. Sun Laiyan, chief of the China National Space Administration, said that the hurdles to manned space exploration are too great for the time being, and that his agency will concentrate on mechanical exploration. "I have read reports by foreign media saying that China would carry a manned Moon landing in 2020, but I do not think there has been such a plan," Sun told the state run Xinhua News Agency at a press conference in Beijing. "So far, our Moon mission only includes unmanned probes. But I believe one day China will send its own astronauts to land on the Moon. I hope I can see it happen." "The success of the Chang’e-1 project has helped us train a professional team and will support the mission’s next aim of landing a rover on the moon," he said. A remote controlled Moon rover will land in 2012 and a second mission in 2017 will try to bring back rock samples. China has big plans for remote exploration of space. The country is building a new space centre on the island province of Hainan in the South China Sea, and in 2005 became the third nation to put astronauts into space.